We are widely trusted and accepted as the most reliable Denver plumbing company; this is constantly reflected in our reviews. These aren’t just claims; let our service speak for itself. With a Brothers plumber on the job, you can expect only the highest standard of service. When you need plumbing in Denver, be sure to contact the best plumbers. From the smallest leak to the largest remodel, we offer the finest plumbing services available anywhere. Our trained professionals will work efficiently to provide quick and top quality service & installation. 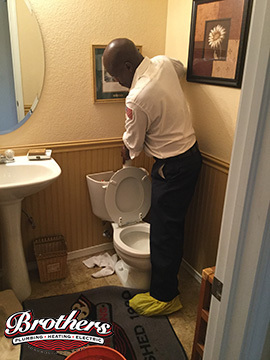 Our plumbers in Denver have built a reputation over the years for our honesty and commitment to customer satisfaction, and we continue to maintain and practice our code of ethics and value.